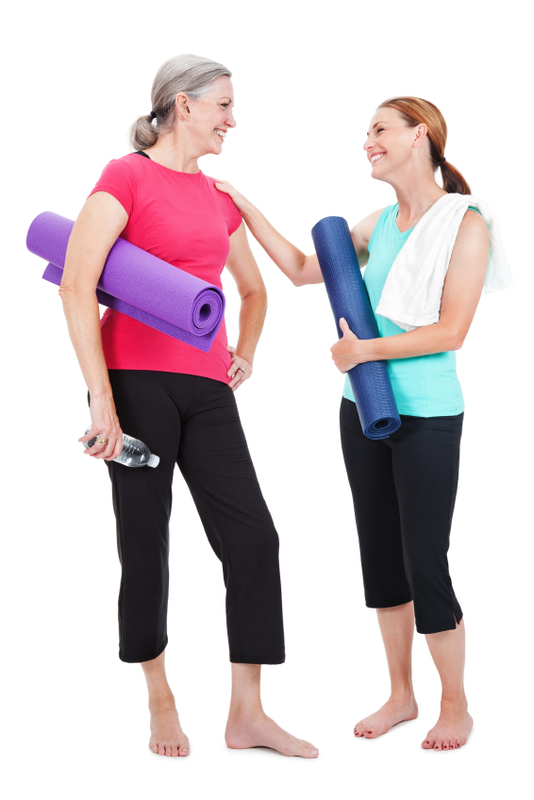 Yoga and Friendship written by Nancy Weshkoff | Moonflower Yoga Inc.
Y oga has many wonderful health benefits from a physical standpoint. You will gain strength, build better flexibility, and improve your balance. But it also has another wonderful benefit: friendship. When I first started practicing yoga many years ago, I met some amazing people who were also attending the same yoga class as me. What started on the first day as a hello then developed into something much deeper. As we practiced together, we became friends. Over the years, that friendship became stronger, and my best friends today are those same amazing women that I met at a yoga class years earlier. One of them moved out of state but came back to Long Island to attend a family event this week. And, of course, we had a yoga session together. Later in the evening, all the “yoginis” got together and we shared a wonderful dinner laughing and loving each other’s company. It is because of yoga that I met these incredible women who became my dear friends. In creating Moonflower Yoga in Bellmore, New York, in Long Island’s Nassau County, I wanted to have a studio which made this type of friendship possible. Moonflower Yoga has small-sized yoga classes that provide a more intimate experience. And with that experience, comes the opportunity of getting to know the fellow students who are attending the yoga class with you. I am so pleased when I see friendships forming and the laughter and joy that comes from sharing a yoga practice with new friends – people that never met each other before walking into the doors of Moonflower Yoga in Bellmore. I have heard people say they practice yoga by watching a yoga DVD. And, yes, you can learn a bit about yoga from watching a yoga DVD. But when you come to Moonflower Yoga, you will have a great yoga teacher who will pay close attention to you and help make sure you are doing the pose correctly and you will have a variety of great yoga classes from which you can choose. And you also gain something else when you practice at Moonflower Yoga as opposed to being alone in your living room. You will meet new people and create new friendships. And, like me, some of these new people that you meet at your yoga class can become your best friends in life. How wonderful is that! If you are in Bellmore, in Long Island’s Nassau County, come try a yoga class at Moonflower Yoga. Your first class is free. You can have a great yoga experience, become physically stronger, and meet someone new. Is there a new friendship in your future?